It is impractical to devote hours poring over your WordPress activity log. 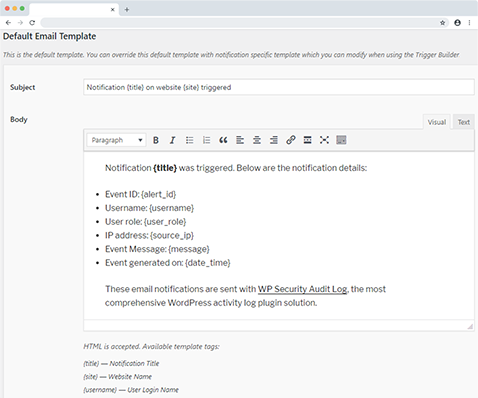 Configure SMS and email notifications to be instantly alerted of important activity on your WordPress sites and multisite networks without having to login to your website. If an attacker is trying to break into your website, or users are doing something they shouldn’t, or you simply want to be alerted when something specific happens, it is important to be alerted at the earliest possible so you can address the issue without letting it impact your business and website. One Click SMS & Email Notifications! Setup your first and most important SMS and email notifications within just seconds! The plugin has a list of the most common and important site changes predefined as notifications to help you get started. They can be enabled with just one click! Product meta data changes or stock is low. 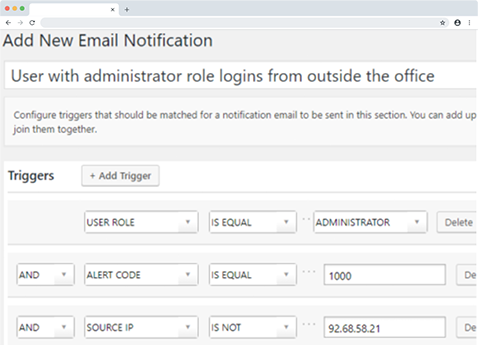 To get notified of a very specific change, for example when two events happen at the same time, or an event has to be generated by a specific user and not from a specific IP address, use the intuitive trigger builder to create your own notification criteria. With the trigger builder you can also group multiple criteria using operands. So for example you can built a trigger to get notified when a user with editor role logs in from an unusual IP address outside office hours. All the email notification templates are configurable. Use the built-in HTML editor and the available variables to personalize the email message for every different notification you have. 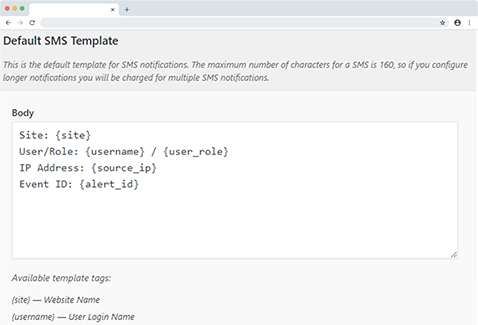 The SMS template is also configurable, so it can be personalized. The plugin also supports Bit.ly, so you can easily integrate it to fit in more information in your SMSs yet keeping them short. Upgrade to premium to also get the reports tools, search & filters, users sessions management tools, activity log database tools and third party services integration tools.